Fantastic Four # 9 cover (Dec 1962). 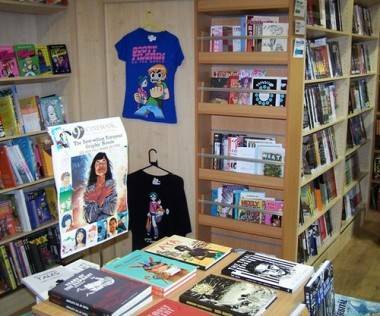 – Brum’s Nostalgia & Comics, in Birmingham, was damaged during the UK street riots on Aug 9. The store’s windows were broken during riots, which had spread from the growing trouble in London days before. Brum’s carries a wide collection of indie and major label comics and is one of the many fine Forbidden Planet stores in Britain. Let’s hope they can get back to business as quickly as possible. 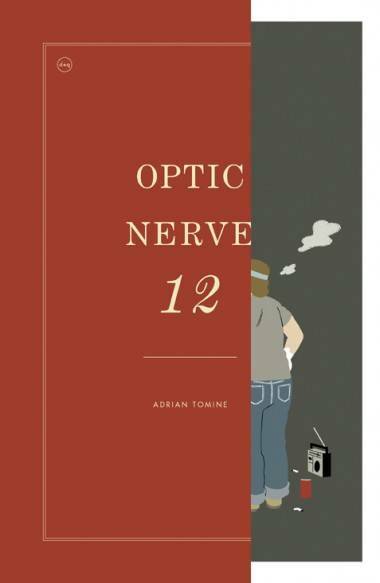 – Short story comic sampler Optic Nerve‘s 12th issue is out in September from Drawn & Quarterly. Adrian Tomine, the smooth and realistic illustrator behind the series, began self-publishing the project in ’95 when he was in his late teens/early 20s. Since then his stories have been featured in McSweeneys and Best American Non-Required Reading. 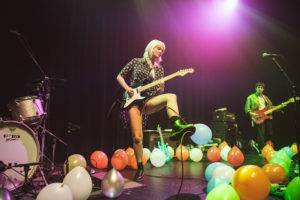 Tomine specializes in hip and eccentric stories of love, awkward obsession and emotional pain. Here is the entry from D&Q. 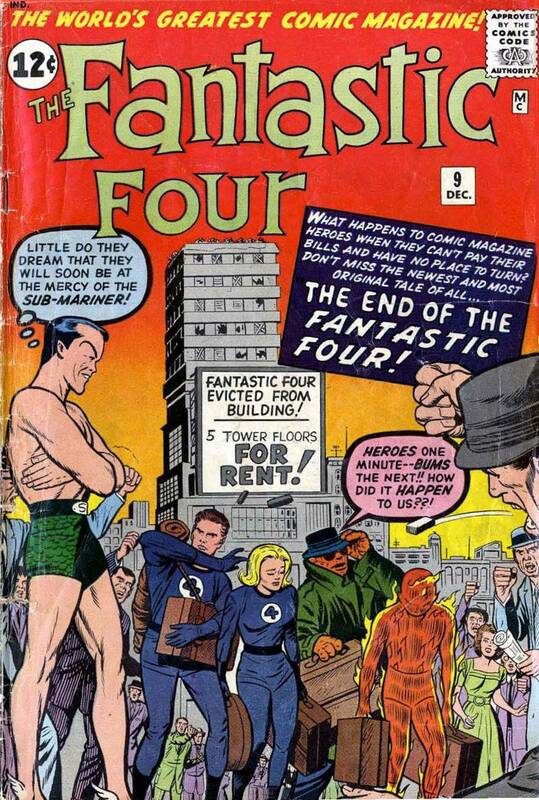 – Fantastic Four #9, originally published in 1963, is getting an indie all-star make-over facilitated by cartoonist Jason Young. 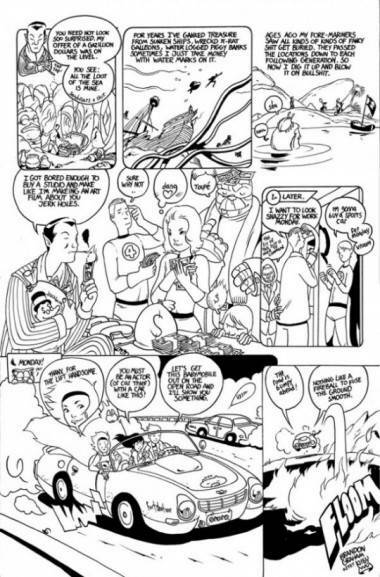 Young has been slowly collecting page re-draws of the issue by some of today’s greatest cartoonists including Chester Brown, Brandon Graham, Anders Nilsen and Jeffrey Brown. 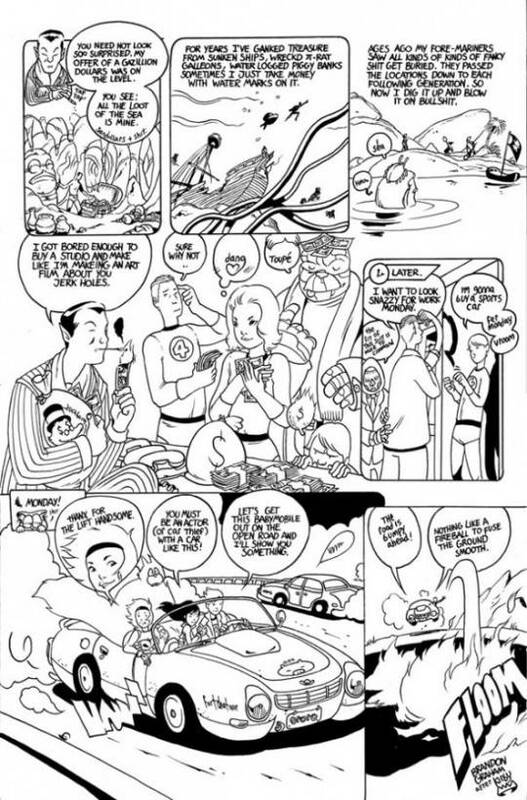 Jack Kirby did the original art for the comic and the remakes are all amazing efforts – Brandon Graham’s being particularly great. Here is a link to Jason’s FF#9 remake blog that has the whole collection so far. 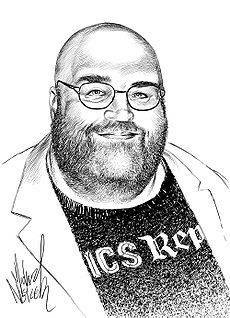 –Tom Spurgeon, the man behind respected comic site The Comics Reporter, posted a great piece about his life in the world of comics. Spurgeon was sorely missed earlier this summer due to an illness that he recounts in a haunting, funny and heartfelt essay. 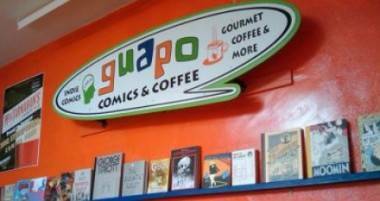 Let’s all wish him good health so he can get through the stacks of comics that need to be read. The essay can be found here. The full announcement can be found on their blog. 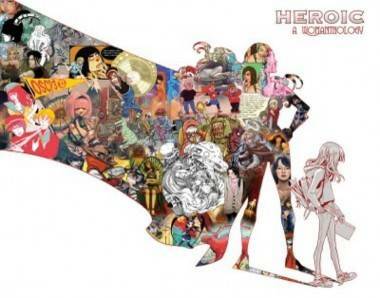 – The Portland Press Herald did a great write-up on Renae De Liz’s Womanthology: Heroic, a Twitter-born project that celebrates women cartoonists. Many women responded to Liz via email after she tweeted asking if any women were interested in contributing to a charity anthology of comics. IDW picked up the project after an amazing fund-raising campaign on Kickstarter that raised $109,301 by Aug 7. “Only about 10 per cent of comic book creators are women,” says de Liz. “We’re saying ‘Look at all these amazing women who need a chance!’ Hopefully, publishers will give them that chance.” Here is a link to the Press Herald article; the book will be out in December. 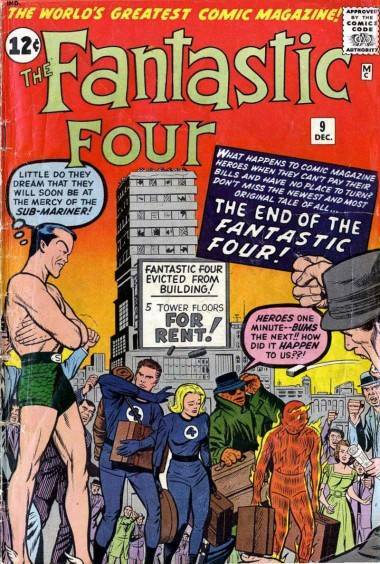 This entry was posted in Homepage Features, news and tagged Fantastic Four, Jack Kirby, news, news, Optic Nerve. Bookmark the permalink.